The Johnsons: Happy Resurrection Sunday!! This was our first time to not be in Amarillo for Easter. I was a little bummed at first, but we had an absolutely wonderful weekend! 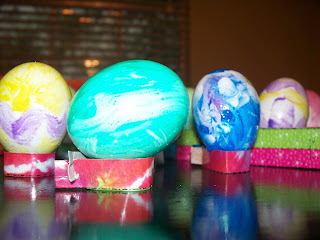 Saturday we went to Randon's game, then came home and dyed eggs, then baked resurrection cookies. 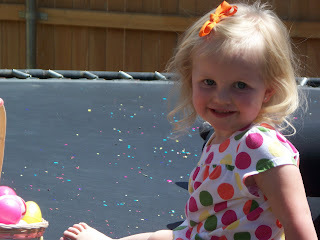 If you haven't heard of these, they are so great for little ones! The ingredients go along with the story of the crucifixion, and you read corresponding scriptures as you mix them. 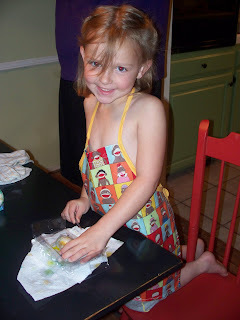 You make the cookies on Saturday night, then put them in the oven and tape the oven shut. (You don't actually bake them.) 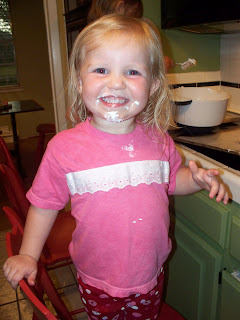 Then on Easter morning, you open the oven and take the cookies out. Each cookie is supposed to represent the tomb, and when you break the cookies open, they are hollow inside, just like the tomb was empty! 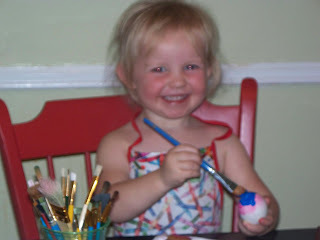 We did this for the first time with Jessilyn last year, and she absolutely loves this tradition! Sunday we had an amazing service at church. We ate lunch with another coaching family and hunted eggs. Then we went over to some sweet church friends' home, and let our kids run around until they were exhausted while the dads watched the Master's. It was a great day. 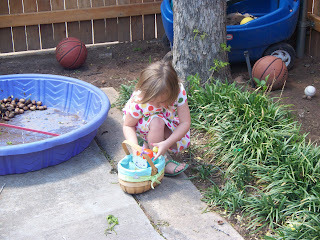 The most exciting part of Easter this year was how much Jessilyn really got into it, and to see how much she really understood. 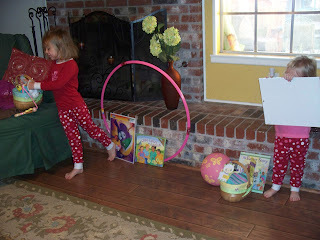 She loves to "teach" Reese about the resurrection eggs. Her version is one of the sweetest things I've ever heard. We talked on Good Friday about why this was a sad day, and how heavy the remembrance of His death should be, and how we would be able to celebrate on Sunday because of His ultimate victory over death! Jessilyn is asking so many questions, and her spirit is so softened...I don't think it will be long until she asks Jesus to be her Lord and King! We are having conversations about salvation more and more often. Nothing blesses my heart more than to see her love for the Lord! I am overwhelmed at the gift of being a Mommy, and my cup overflows when I think of the warrior Jessilyn will be for Him! 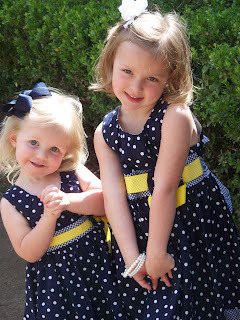 I am pretty sure the one in their Easter dresses with the lean going on is one of my favorite pictures EVER! You are such a great mom, can you tech me? Love you guys! 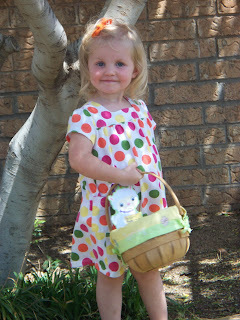 Cute Easter dresses! How are you guys?? ?